After you convert a spool file to Excel or PDF, then what? You can’t open those files in the IBM OS so they have to go somewhere, somehow. Why not deliver the formatted reports directly to the people that need them? Paperless Report Distribution software can convert IBM i, AS400 and iSeries spool files to Excel and PDF and distribute them to one or multiple recipients. Paperless Report Distribution software identifies where a report should go, and pulls the email address off the spooled page, from a customer master file, or from an integrated address book in the solution itself. Have a question about emailing IBM reports? Automated Distribution software can burst or deliver whole reports to the people that need them, in formats they want, in real time. Integrated email and archiving delivers reports and at the same time stores them for easy locating, viewing and re-sending as needed. Paperless Report Distribution software captures IBM i, AS400 and iSeries spool files and converts to Excel and PDF, intelligently naming the files and pushing them to folders on your network server for company-wide access. Have a question about archiving IBM reports? With your spooled files converted to Excel and PDF and safely stored on a network file server, all of that operational data is now at your users’ fingertips. 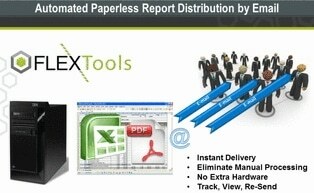 Why Use Third Party Software for Paperless Report Distribution? Many programmers could build a Paperless Report Distribution from scratch using IBM utilities, but why bother investing the time and resources? 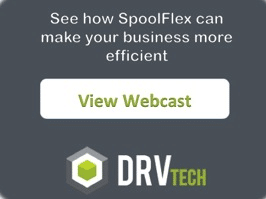 There are inexpensive, off-the-shelf solutions like SpoolFlex that are well supported and pay for themselves in less than three months. Have a question about paperless report distribution and archiving?